The Studio worked with the Rockwell Group to produce three installations for the Sheraton Centre Toronto Hotel. An interactive frieze welcomes visitors to the lobby with a field of butterflies, a magical mirror reflects guests as clouds, and an eight screen news ticker displays the day’s headlines. 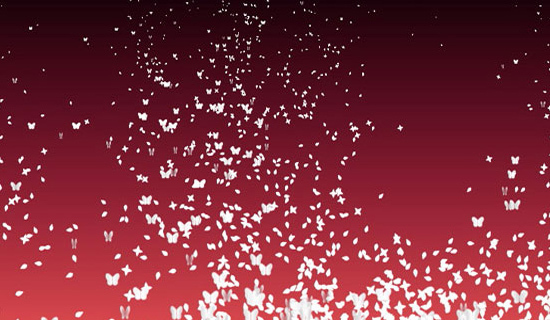 This nine by seventy-five foot projected installation uses ultrasonic radar to detect people passing underneath, then reacts by scattering a rabble of butterflies overhead. The Cloud Mirror uses real-time video manipulation to create an unfamiliar reflection of passers-by. This News Ticker scrolls current headlines from Canada, The United States, and the World across eight synchronized monitors.